Opportunity zone funds are rapidly growing. Last year, these funds—which were a tax benefit in the 2017 tax reform bill—totaled $5 billion. Today, opportunity zone funds total $20 billion, and by the end of the year, Kevin Nolan, director at Cushman & Wakefield, expects that they will hit $100 billion. 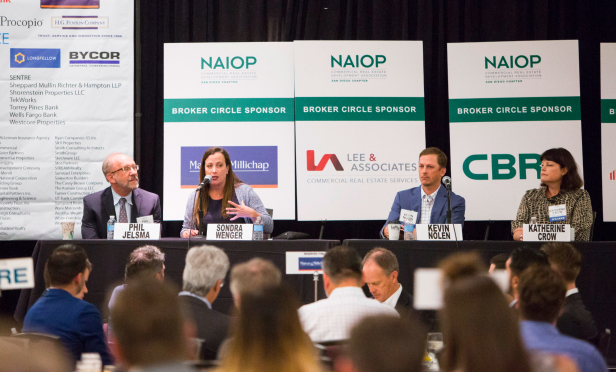 Nolan spoke last week at NAIOP San Diego’s conference on Opportunity Zones, along with Phil Jelsma, partner at CGS3; Sondra Wagner, managing director at CIM; Katherine Crow, promise zone director at City of San Diego and Mark Cafferty, president of San Diego Regional EDC. Despite the capital flooding into this market, these are not going to be easy deals.